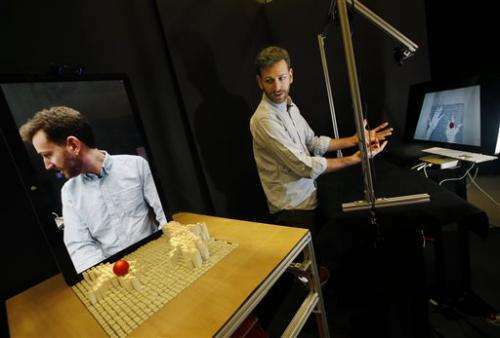 (AP)—Researchers at the Massachusetts Institute of Technology have found a way to allow people in one place to interact with three-dimensional versions of people or objects in a different location. 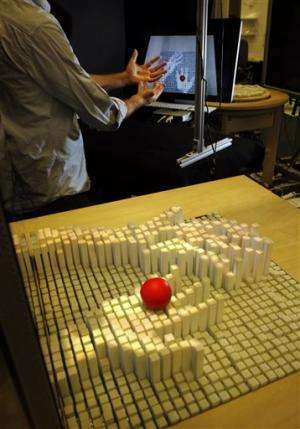 MIT's Tangible Media Group calls the technology inFORM. 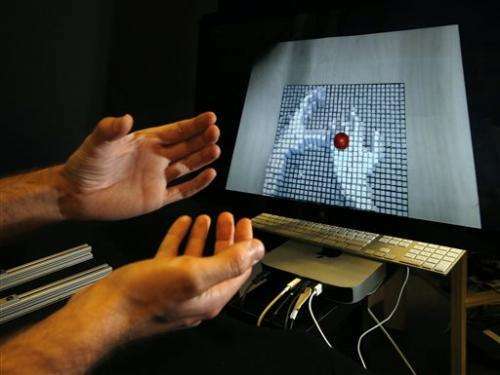 A person in one location moves or puts an object in front of a depth-sensing camera. That camera sends signals to a motorized pin screen somewhere else and that's where the 3D image pops up. If someone on camera is moving his hands, for example, that movement would show up on the pin screen in another location. 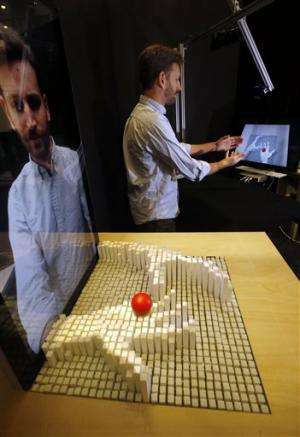 They hope the technology can eventually be used by urban planners and architects. It could also be used by doctors and others who need to look at CT scans.